While LG have previously mentioned that they will be launching a curved smartphone called the LG Z later this month, that is definitely just the beginning. 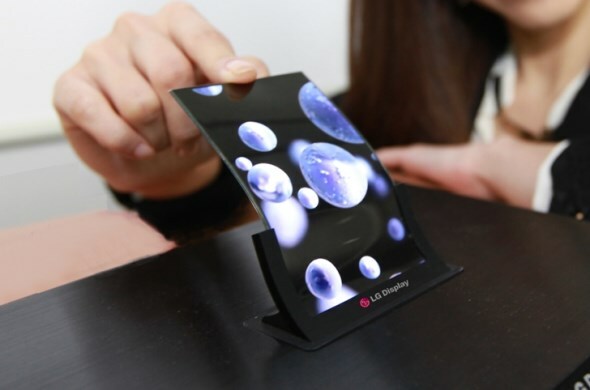 The company earlier today have announced that they will start mass-producing the flexible OLED panel for smartphone which is said to the first such panel in the world. Apart from being bendable and unbreakable, the new LG flexible OLED panel is built from plastic rather than glass and is around 0.44mm thin. Furthermore, the display is vertically concave from top to bottom with a radius of 700mm and weighs at 7.2 grams in its 6-inch form. According to the Executive Vice President and Chief Technology of LG Display, Dr. Sang Deog Yeo, they will be introducing new products based on the display next year in order to grab forefront position in the flexible display market. It is hard to say whether LG will be able to meet that goal easily though since there are persisting rumours regarding Samsung Galaxy Round which also features flexible OLED display and could be launched as early as next week. Well then, let’s see what type of products that these companies will be able to craft from flexible displays and consumers reaction to them.